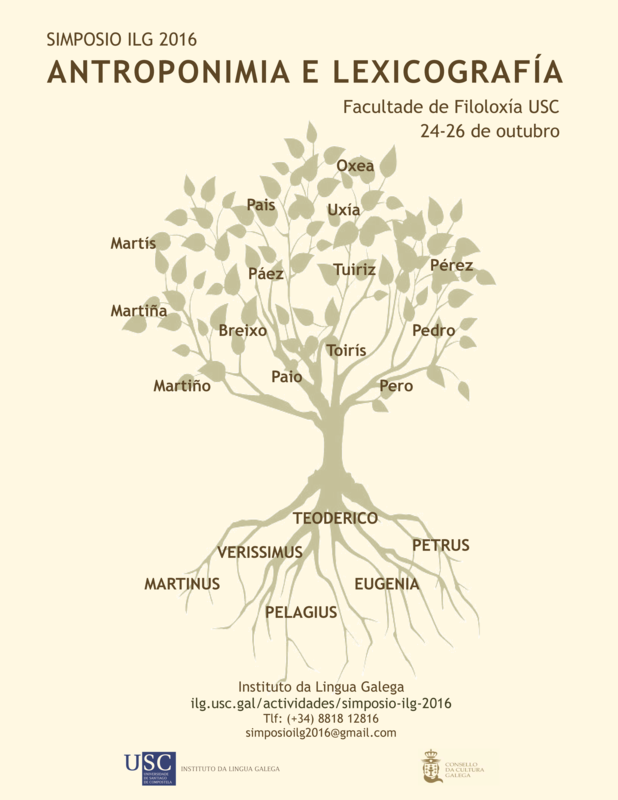 The symposium will last three days (24th - 26th October) and will be held at the Facultade de Filoloxía. Linguistic criteria: What is an English/Spanish/Italian surname? Should we depart from statistical information or should we consider the linguistic origin? How should onomastic borrowing be defined - by frequency or age? Criteria for the selection of headword: the nearest to the etymon, the most frequent, the most closely related with the common language, etc. The presence of historical documentation. Geographical information and data about its diffusion. Dissemination vs. scientific information. The type of etymological information needs to be assessed: rigorous but intelligible for a non-specialist public. Dictionaries as a tool for supporting linguistic normalization. In addition to the graphic, phonetic and morphologic variants present in all languages, in Galician there are hybrid forms, altered through the influence of Spanish. We have to decide if the standard form will be prioritised and which space should be occupied by the variants. Secondly, specific topics about names and surnames will be discussed: their situation in the 17th century, several phonetic or morphologic phenomena affecting them, their symbolic dimension in society and the question of normalization.